(Beijing and Hong Kong – 23 January 2009) Following a meeting at Beijing last week, the country’s National Aquatic Wildlife Conservation Association and Ocean Park Hong Kong jointly announced the next step forward on the Chinese sturgeon conservation action plan, in which Ocean Park reaffirmed its commitment to continue with the Chinese sturgeon salination research programme with Mainland partners. Ocean Park will also strengthen education and conservation initiatives on aquatic wildlife from the Yangtze River by converting the Chinese Sturgeon Aquarium into a freshwater exhibit. This new exhibit, the Chinese Sturgeon Aquarium – Yangtze River Exploration, which will open in the summer of 2009, will feature Chinese sturgeons, and other aquatic wildlife native to the Yangtze River. Between now and the opening, Xiamen’s Yangtze River Fisheries Research Institute of the Chinese Academy of Fisheries Sciences will take temporary custody of the five Chinese sturgeons at Ocean Park. The five fish, all of which are well, arrived at Xiamen this morning. The new direction was agreed upon at the meeting attended by all the conservation partners, including the National Aquatic Wildlife Conservation Association, the Yangtze River Fisheries Research Institute of the Chinese Academy of Fisheries Sciences, the Beijing Aquarium, and Ocean Park. Upon completion, the new Chinese Sturgeon Aquarium – Yangtze River Exploration will feature Chinese sturgeons, and other unique Yangtze River species. Comprehensive educational commentaries will be presented alongside these new animal ambassadors to lead and inspire guests on this river journey of discoveries. 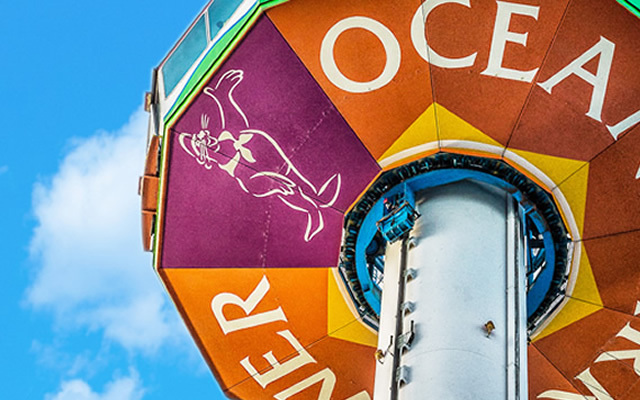 Mr Li added that the Mainland will dispatch experts to Ocean Park in the coming weeks to participate in the exhibit design and to finalise details on the exhibit contents. Mr Li of the National Aquatic Wildlife Conservation Association also revealed that the Mainland has started on a new collaborative effort with Ocean Park – the conservation project on the giant Chinese salamanders. Ocean Park will work with the Mainland experts who will be in Hong Kong in the coming weeks for the facility conversion, to also discuss the conservation plans and public display of the giant Chinese salamanders. These animals will be a feature exhibit planned for the new Master Redevelopment attraction, Amazing Asian Animals, which is scheduled to open in the spring of 2009. 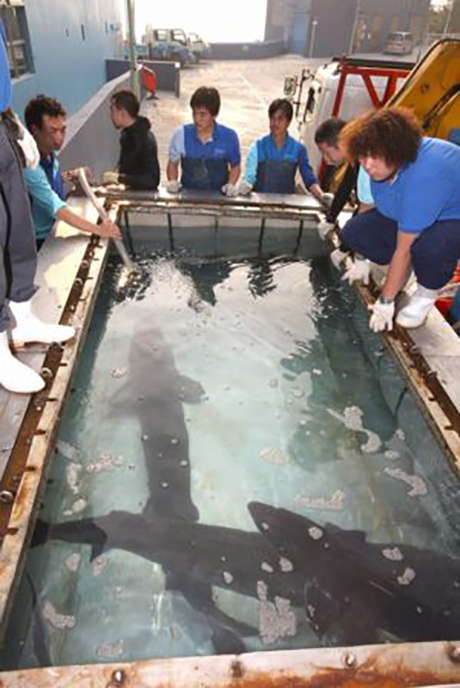 Ocean Park staff preparing to transport the five Chinese sturgeons to Xiamen yesterday afternoon.